After the brilliant sunshine of our first day in Sydney, Australia we woke early for our trip to the Blue Mountains and we’re greeted by strong gusts of wind and grey skies. Our tour with ‘Colourful Trips’ travel company departed from near the Sydney railway station so was a convenient 10 minute walk from our hotel. Upon arrival we saw dozens and dozens of other travellers all hanging around waiting for their tour company/ trip to arrive – some heading to the mountains, other to Hunter Valley or Jenolan Caves. Typically, ours was just about the last to arrive. 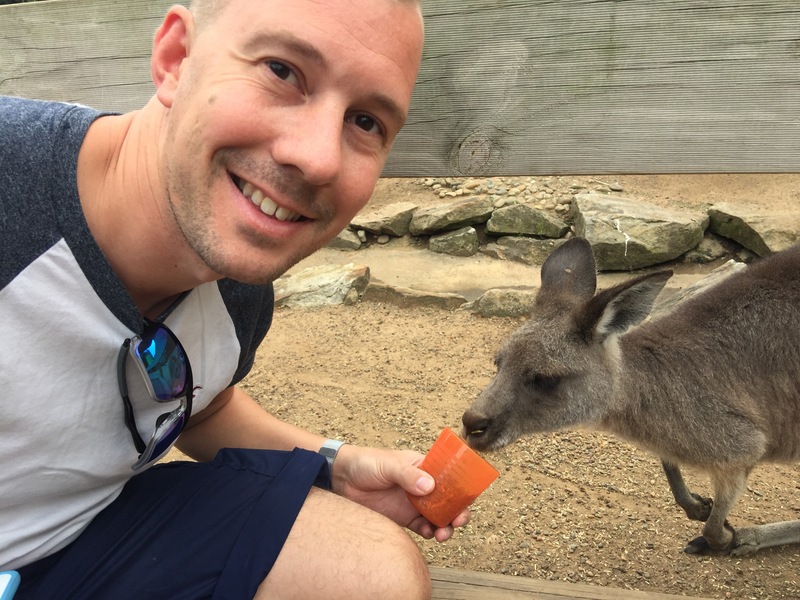 After boarding our bus we made our way out of Sydney to the Featherdale Conservation Centre where we got surprisingly up close and personal with almost all of Australia’s most famous inhabitants. 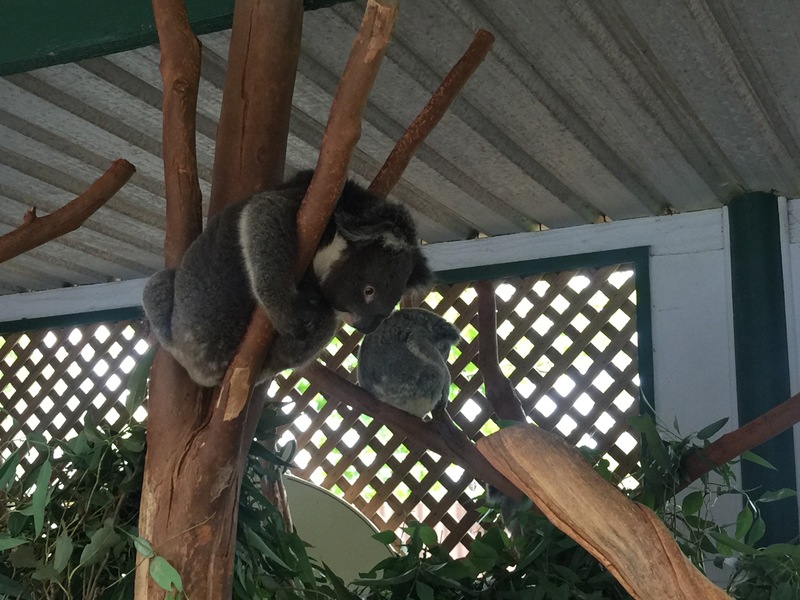 Featherdale, unlike a zoo is a rehabilitation centre so all of the animals are being treated with a view to being released back into the wild as soon as possible. Immediately upon walking through the gates you’re greeted by wallabies running wild followed by large enclosures with various species of birds. The highlights of course are Australia’s version of the big five, the koalas, kangaroos, wallabies, wombats and echidnas. We posed for photos with some rather sleepy looking koalas before venturing into the wallaby enclosure where we fed dozens of them up close, including a mum with joey in her pouch. After a quick glance around the reptile and spider enclosure we made our way onto the bus and headed to the Three Sisters viewing spot in the town of Leura. 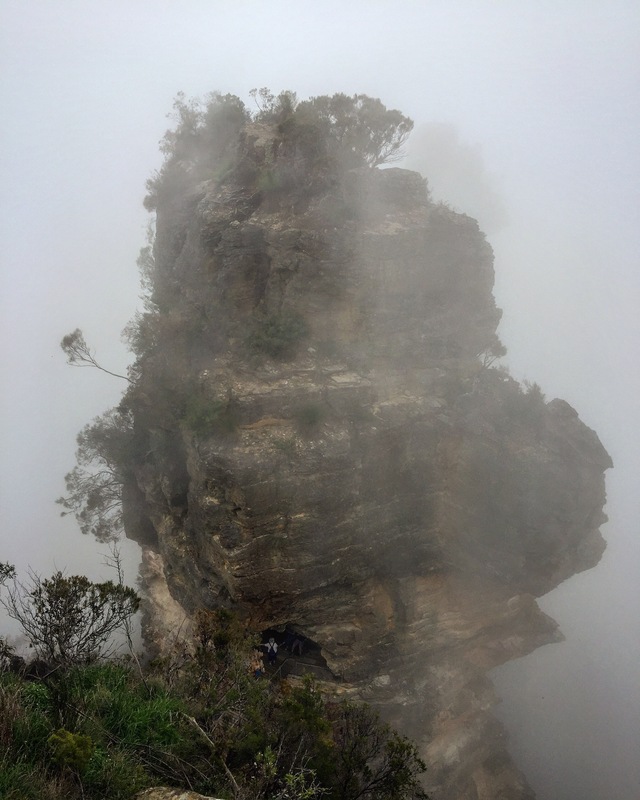 There we stopped in the fog for lunch before heading to the viewing deck to see the famous Blue Mountains – alas all we saw was a think white wall of cloud and fog – literally anything could have been on the other side. Undeterred and with only 15mins left until our bus was due to depart we made a brisk walk down one of the scenic paths to catch a glimpse of the Three Sisters. But amongst heavy fog all we managed to see was one sister, before we had to speed walk back to the bus. The challenge with this day trip, like most one day tours is that the time taken to load and unload the bus means you’re always rushed at every stop and get less of an experience than you’d imagine. 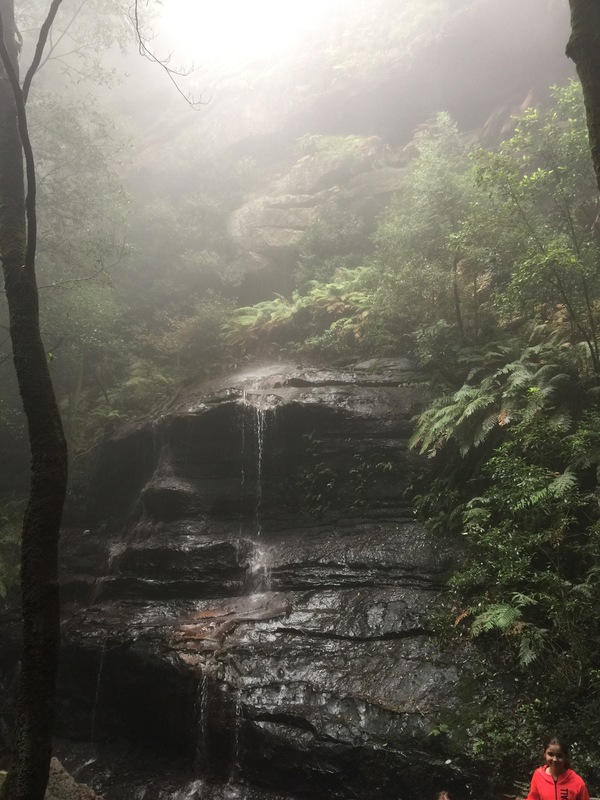 Our next stop at the Katoomba railway was no exception – with the thick fog still sitting over the valley we descended into the temperate Rainforest of the Blue Mountains on foot. Whilst the forest was spectacular in its flora and fauna it was the view we came for and we were sorely missing out. We stopped for photos at every opportunity in front of waterfalls and fallen trees – listening to our guides stories about wilderness survival and how basically every animals and insect in Australia can kill you. The wet conditions meant the paths were muddy and the steep steel ladders were incredibly slippery – if the animals didn’t get you then the local terrain might. With the view still absent after a whole day, there was little point in paying for the scenic railway so we ascended from the forest by foot. It was such a shame to have come all this way and seen nothing – but it was a sign of what was to come over the next two weeks as the Australian weather thwarted our plans. The upside of the bad weather was that we made it back into Sydney ahead of schedule, giving us time for a shower and change of clothes before heading out to meet friends for dinner. 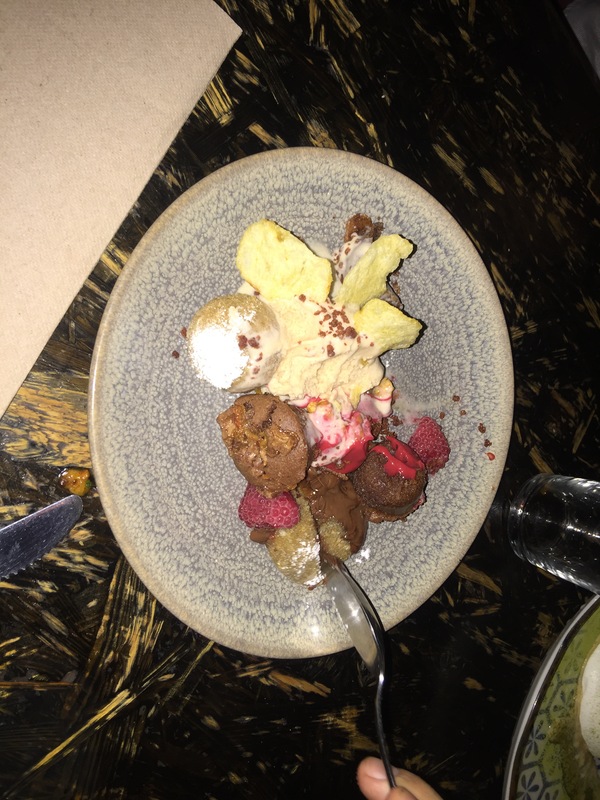 We left the restaurant choice to Martin and Shane our local hosts – Sydneys amazing food culture once again showed itself with a shared banquet menu at Ms G’s! Great good, beer and company made for a late night.